Taxes are complicated, period, but for small business owners it can get even more complicated than the norm. For the new small business owner, navigating the murky waters of taxes, comes with understanding new terms, and regulations on top of the once you have already been trying to understand over the last year. Many new business owners are now exposed to terms like tax code, jurisdictions, deductibles, and so much more that can be hard to understand and to figure out what works best for you, what you are eligible for, and while most choose to outsource this service out to a pro, having a basic understanding of how small business tax works is essential in making sure that your accountant is doing the work correctly. Owning a small business means putting together multiple tax returns for the different authorities you most likely owe. Although, most people know that they will file federal and state taxes, they may not be aware that others may need to be considered, especially as it relates to jurisdictions (county, district, etc) employees, mind property, sales, and payroll related taxes. Tax codes are simply tax rules and regulations. Tax rules are constantly changing and every small business owner should keep track of these changes, because they can dramatically affect them and their businesses. 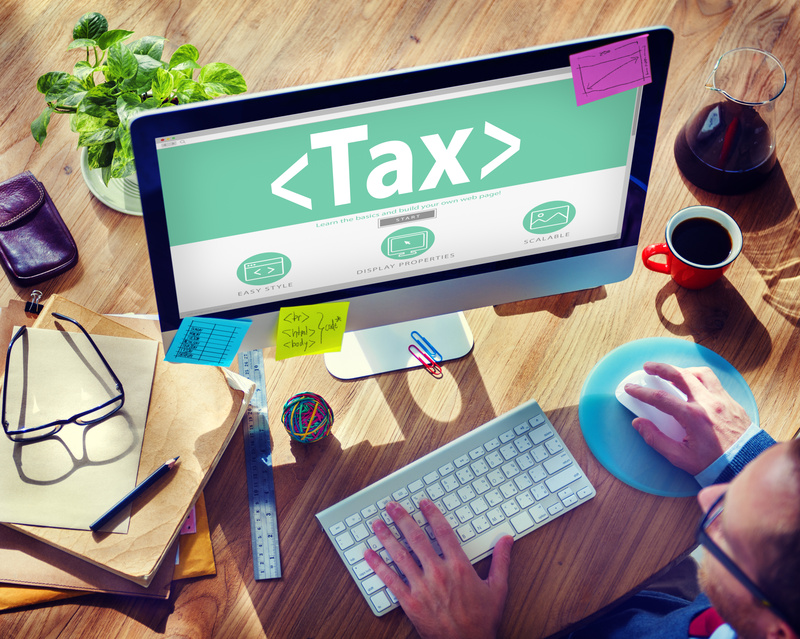 Even if it means checking in with your accountant to make sure that she keeps you updated, it's an important part of navigating the small business tax underbelly. 3. Probably one of the most popular questions, what are deductible expenses? This is a question you should have an answer to before you begin spending money on your business. Many business owners make spending decisions with the hopes that it will be deducted, and yet neglect to ask the question first! According to the IRS, anything hat is helpful and appropriate for your business is deductible. For example, items that you may find are necessary to keep your business running smoothly, office supplies like computers, desk, etc. 4. What is the difference between current and capitol expenses? "Current expenses can be deducted from your business's total income in the year you incur them. They include the everyday costs of keeping your business going, such as office supplies, rent, and electricity. Expenditures for things that will help generate revenue in future years -- a desk, a copier, or a car, for example -- are called capital expenses and must be written off over their useful life. Usually that period is three, five, or seven years, according to IRS rules. 5. Who are independent contractors, who are employees, and why should I know the difference? Independent contractors have their own business, and offer their services to multiple clients, and I should add that unlike employees, you will not tell your contractors how, when, and where to work. While independent contractors receive full payments for all services, unlike employees, the employer does not need to withhold taxes, and or offer benefits. 6. If I have a home business, is my home office tax deductible? Did you even know this was a possibility? It actually is, but it depends on whether you use your home office exclusively for work purposes or if you use it for personal as well. In order to establish that your home office is tax deductible, you should probably double check with your tax professional. If you do qualify however, you can deduct several things, including part of your rent or mortgage, utilities, insurance, and even some of the work done to your home office. 7. Does incorporating guarantee me a tax break? Like most things involving taxes, it depends on how well you do this, it must be done correctly. If you are not established, unfortunately, you will not benefit. According to smallbusiness.findlaw.com, The tax benefits that come from incorporating are really geared towards companies that are profitable from year to year. For example, corporations can offer pension plans that are more tax flexible, but most small businesses rarely have the revenue to take advantage of this tax break. In addition, corporations have the option of keeping some of their profits inside the corporation in order to take advantage of the lower corporate tax bracket. However, many small business owners do not have the option of leaving funds inside of their business because the business has not shown the ability to maintain a steady profit. Do keep the costs of incorporating in mind, you will need to maintain your incorporated taxes. 8. Is it better to keep your own books and file yourself? In the early stages, it can be. But you should consider hiring a consultant for a short time, to help you understand the ins and outs, invest in a top notch bookkeeping program, and/or take a class that will help you to get started. After your business does start to become profitable, it would be beneficial to consider hiring a professional part time, to make sure that everything is organized. 9. What are some of the biggest tax mistakes you may already be making? 10. What can I do to simplify filing next year? Reflect on what made filing this year challenging, what were some of the things that complicated the process for you, and work on them. Use apps that can help you keep track of your expenses and receipts. Hire a consultant to help you to tackle this upcoming year wisely.